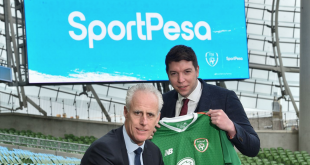 Kenyan bookmaker SportPesa, the lead sponsor of Championship football club Hull City FC, has deemed The Tigers pre-season of tour of Kenya ‘a roaring success’. 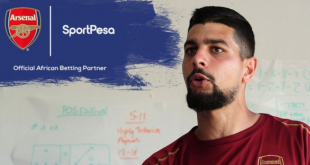 Ahead of the start of the English football season, Hull City FC’s first team and management toured Kenya as part of the club’s social commitment with sponsor SportPesa. The tour saw The Tigers’ first-team visit a number of Kenyan community projects, combatting urban poverty and gender inequalities. Hull City players and coaching staff would visit Kenyan football counterparts Vapour FC and The Kangemi Patriots, delivering professional coaching to youth players from local communities. 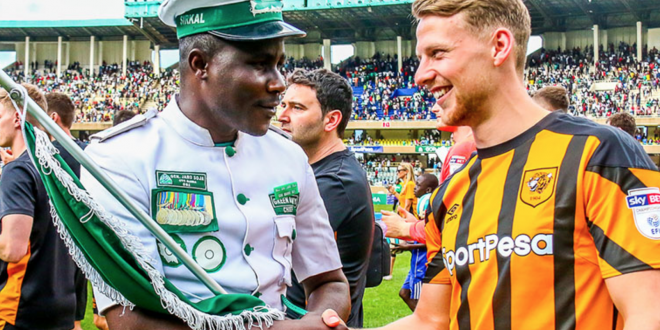 Beyond football activities, Hull City’s medical and sports science staff would put on workshops for the Kenyan football league and students to gain knowledge and understanding of athlete strength and conditioning work. 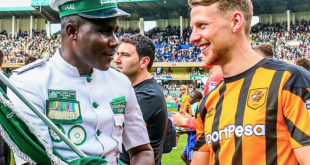 The tour highlight would see Hull City play Kenyan Premier League champions Gor Mahia, in front of a packed-out Kasarani International Stadium (capacity: 60,000) in Nairobi. SportPesa has acted as lead sponsor of Hull City since 2016. The success of The Tigers tour of Kenya has seen the sponsorship nominated for ‘Partnership of the Year’ award at the upcoming 2018 Football Business Awards (22 November).